Sensible Shadow a new shadow interface system that provides tactile feedback from a user’s shadow to physical body. When users obstruct the projected image by their bodies, wearable photoreactive tactile displays receive the light information; they decode it and transmit tactile sensation. The proposed system does not require complex sensing, complicated settings and communication systems; it can perform high speed tactile feedback with the information directly received from the projected light. Perspective projection of the projected image and occluding objects that generate shadows is preserved in principle; all the users have to do is obstructing the projected light. 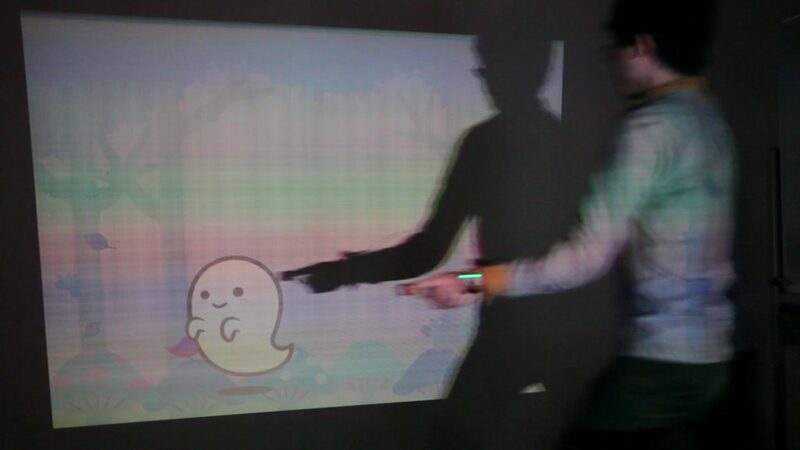 The system can easily serve as a human interaction system with touch sensitive shadow, and it has potential applications in the areas of interactive entertainment and user interfaces. Proceedings of 7th Augmented Human International Conference, Article No.23 (2016.2).